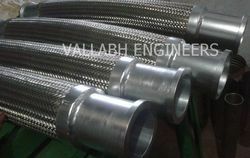 We are a leading Manufacturer of ss flexible hose, stainless steel wire braided hose, ss hose and ss wire braided hose from Vadodara, India. We are offering a various range of Stainless Steel flexible hose and wire Single or Double braiding in authentic stainless steel grades 304, 304L, SS316, SS316L, with different Types if End Fitting as per customer requirement. 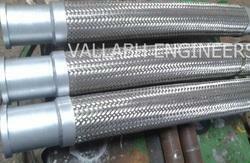 Stainless Steel Wire braied Flexible Hose. 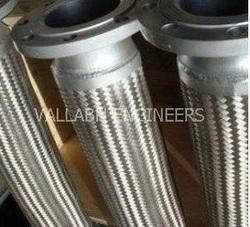 End fittings As per our Customer Requirement End fittings. 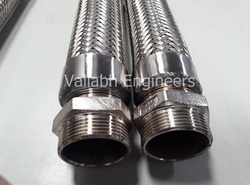 We are offering an Various range of flexible hose and wire braiding in authentic stainless steel grades 304, 304L, SS316, SS316L, with different Types if End Fitting as per customer Requirment. We are manufacturing a quality range of Metallic Flexible Hose. Available in varied sizes, these hoses are manufactured using high-grade stainless steel with single or Double Wire Braided. We are offering a Various range of flexible hose and wire braiding in authentic stainless steel grades 304, 304L, SS316, SS316L, with different Types if End Fitting as per customer requirement.